This piece is presented by South Dakota Biotech. 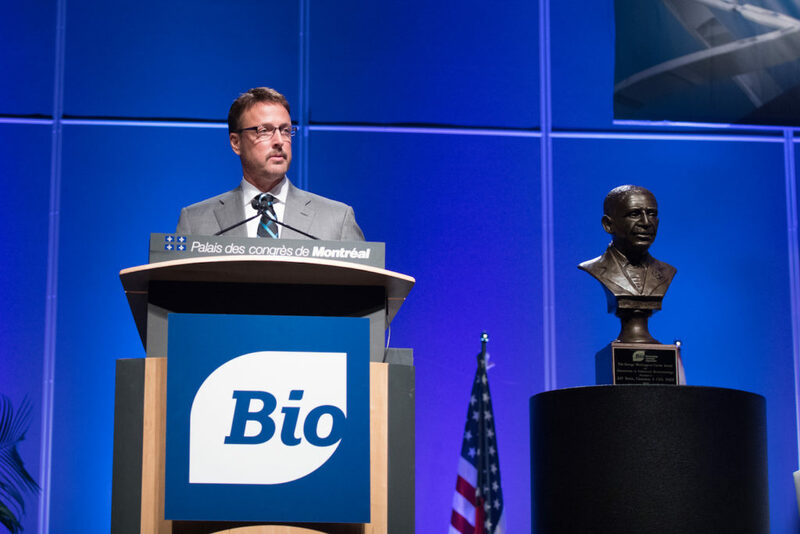 Poet founder, chairman and CEO Jeff Broin is now part of a short list of the biotech industry’s most innovative leaders. 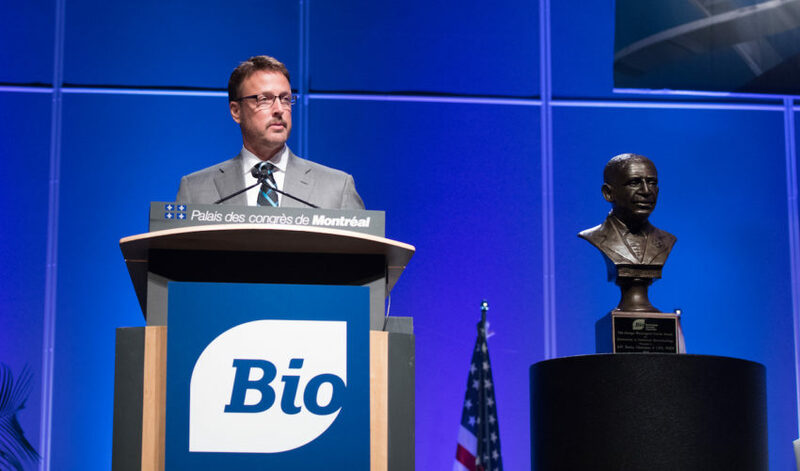 Broin is the 2017 recipient of the George Washington Carver Award for Innovation in Industrial Biotechnology. 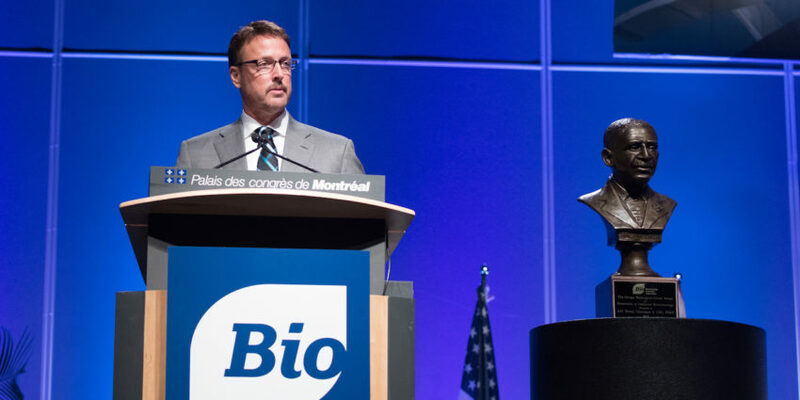 The award has been given annually for 10 years by the BIO World Congress on Industrial Biotechnology, the world’s largest industrial biotech and partnering event. 1.8 billion gallons of ethanol. 10 billion pounds of distillers grain. 600 million pounds of corn oil. Each bioprocessing plant contributes an average of $200 million annually to its local community, and Poet purchases over 600 million bushels of grain each year from more than 25,000 farmers. Poet has achieved 800 percent growth since 2000. We asked Broin to reflect on the honor and look ahead to what’s next in his industry. Congratulations on your well-deserved recognition. What significance does this have for you? Thank you. I am humbled and filled with gratitude at being given the George Washington Carver Award. When this company started 30 years ago, I never would have imagined a small biofuel plant in Scotland, S.D., would grow to be the largest producer of biofuels in the world. This honor is for everyone who supported and passionately helped drive Poet’s mission throughout the years, including thousands of dedicated team members and, of course, my family. A special thank you to my wife, Tammie, and our three children for their unwavering love and support. What are some of Poet’s contributions to biotechnology that you’re most proud of? Finding new potential in agricultural products to meet the world’s needs is what we do every day at Poet. Whether it’s producing biofuel from starch and cellulose, or finding new or better ways to produce co-products – such as distillers grain, corn oil, fiber and liquefied CO2 – we need to have more sustainable solutions for our world. Throughout our 30-year history, Poet has always placed a high priority on research – from the laboratories and researchers at our headquarters in Sioux Falls to our pilot plant and research facility in Scotland, S.D. We’re also demonstrating the value and potential of cellulosic biofuel at our first-of-its-kind commercial-scale plant in Emmetsburg, Iowa. This constant focus on cutting-edge research has resulted in industry-leading technology such as BPX, our no-cook production process, total water-recovery technology, unique corn oil and distillers grains products, cellulosic biofuel development and more. How much potential do you think is still untapped in ag biotechnology? Biotechnology has almost unlimited potential. Bioprocessing and microbiology are the future. In the coming years, more and more bioprocessing plants will dot the landscape of the United States, the Americas and eventually the world. It will become obvious through this development that sustainable ag-based products will replace fossil-based products well before the end of this century. What are some of your priorities this year and in the next few years as you continue to grow Poet? Agriculture is the key to solving many of our world’s challenges, and we have barely begun tapping into its potential. We need to grow our production and use of biofuels and existing co-products and continue to innovate to find new ways to replace fossil fuel-based products with additional renewable products. Agriculture today is on a collision course and entering a full-blown crisis, and sadly many people in that industry don’t even realize it. Biofuels are the solution, but nothing will get done until farmers start standing up for themselves. I want to carry that message to farmers: We are here to help you, but you have to make some noise to help move this industry forward. Biofuels is the only market for ag products that has shown any significant growth in the last three decades. But the oil industry is fighting to retain market share at all costs. Agriculture needs a larger percentage of today’s gas tanks. It’s the only way to balance our grain-oversupply situation. Exports, feed, food seed and industrial – those markets haven’t moved an inch in years. The only meaningful growth we’ve seen for ag products is biofuels. If markets for agricultural products don’t expand, I believe we will see significant challenges for the ag economy as well as the U.S. economy. We will be actively engaging lawmakers to support policies that encourage biofuel growth and to eliminate unnecessary regulations that hinder progress and technological development. We will also continue to look for new opportunities for ag-based products to replace fossil-based products – using the sun, the soil and the seed to revolutionize our world. How would you like to see biotechnology in South Dakota continue to evolve? This state is the birthplace of Poet, and in many ways it is the birthplace of the biofuels industry. 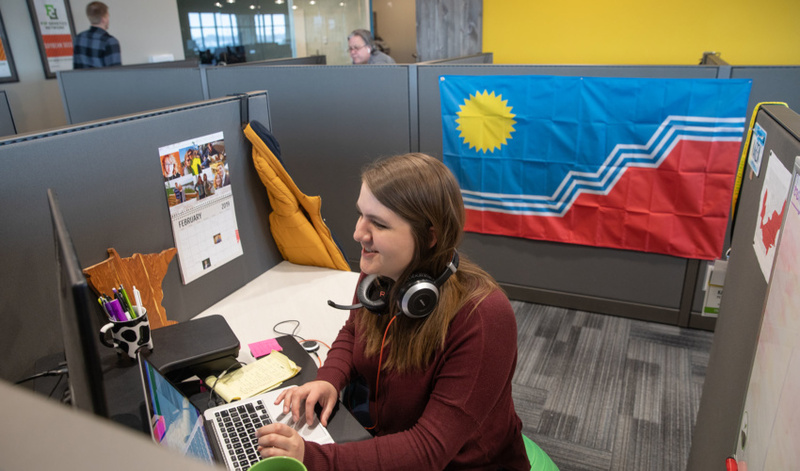 Every new technological advancement we make at Poet starts in our labs here in Sioux Falls and often moves to our pilot operation in Scotland, S.D. And there are several other companies doing fantastic work in multiple areas of biotechnology in this state. I already see South Dakota as a biotech leader. We will continue to improve our process, getting even better yields and lowering input costs. And I hope we will be able to grow our biofuels and bioproducts production in South Dakota through future expansions. We just broke ground on an 80 million-gallon expansion to a Poet bioprocessing plant in Marion, Ohio. To accomplish this, we need our federal government to allow better market access that allows consumers to choose higher blends of biofuels; we will be able to look at opportunities to do the same here in South Dakota.We need to begin educating our high school and college students about the importance of agriculture and bioprocessing. And we need to drive South Dakota’s economy by creating better, more efficient and sustainable biofuels and bioproducts for the world.